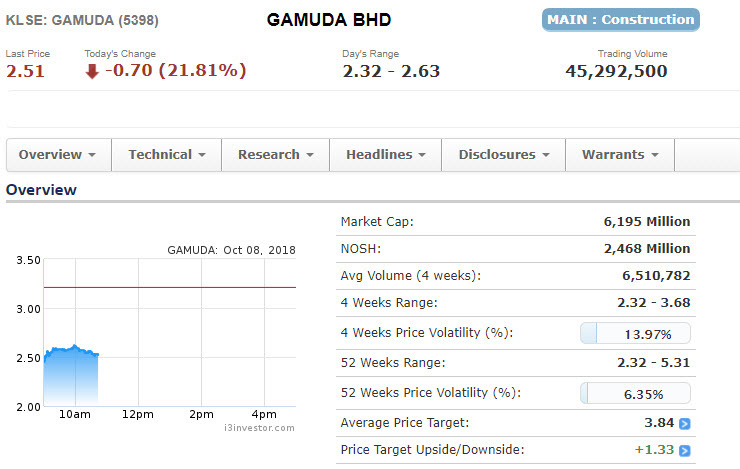 Gamuda - Downtrend since RM5.00. 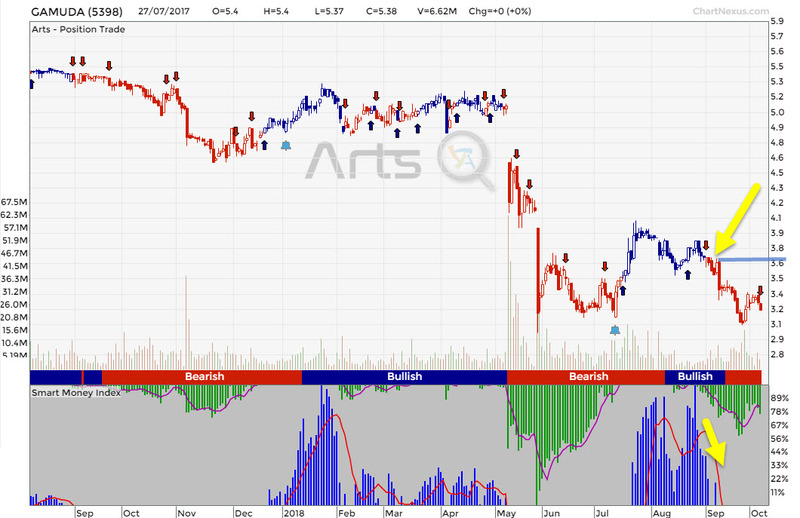 Recently our trading System show exit signal at RM3.60 again and Smart money is missing since then. If you cut your losses small, you will be able to avoid "being Stuck"
This is not a buy or sell call, just to remind myself and everyone not to fall in love to downtrending stock no matter how good this company may sound to you.